Staffing : Scanners, Ticketing, Merchandising, Box Office, Way-finders & Supervisors. Everybody wishes to be a child again… with this concept in mind, ‘Wags the Dog’, ‘Dorothy the Dinosaur’, ‘Captain Feathersword’ and ‘Henry the Octopus’ comprising the most famous kids entertainment show, “The Wiggles” arrived to the UAE and performed their most popular hits at the Yas Island. 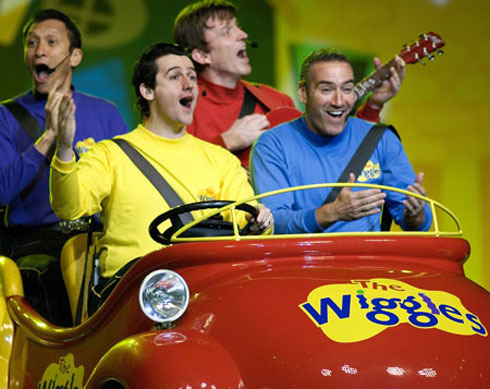 The Wiggles band attracted a huge number of fans at the Flash Forum in Yas where Vibes team in its support for children activities drew a smile on the face of children by leveling with their age while providing them with assistance just like adults. It is indeed a satisfying experience for both the innocent children and the staff in charge from Vibes. Staffing : Registration, Ticketing, Ushers, Surveyors & Supervisors. The bride show in Abu Dhabi and Dubai was organized to make every bride’s wedding event just… perfect! More than 350 exhibitors presented their garments to make a bride’s life easier. Whether it was budget, color, size, details or accessories, a bride can find everything that suits her preference and more! Most importantly, the bride show allowed the beautiful brides out there to save very precious time which could otherwise be spent on… getting close to the in-laws for example!!! Besides cars and sports, happy events are our specialty. Vibes staff, especially the ladies, could not have been happier to be part of the bride show. They were positioned all over the exhibition center making sure that every bride knows where she is going and making their experiences as easy as it can be. Certainly our Vibes girls learned a lot from this experience and we will not be surprised if they decide to be the brides during Bride Show 2014! Staffing : Models & Promoters. 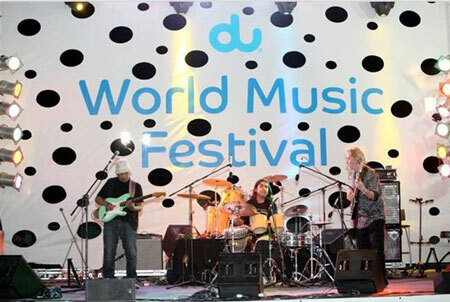 JBR, Burj Khalifa, Yas Arena and Media City opened up to the external world to host the best in live music. Local and international artists lined up to perform daily on the Walk for a whole week. Several artists such as Andrea Boccelli, Wust el Balad, Kamal Mousallem, Amer Diab, Cherine, Hussein Al Jesmi, the Affif Bros and many more gathered in the most visited area to deliver their best music in Dubai and Abu Dhabi. Vibes has always had its share in not only assisting the attendees but also to blend with the culture of music of each of these world class artists. 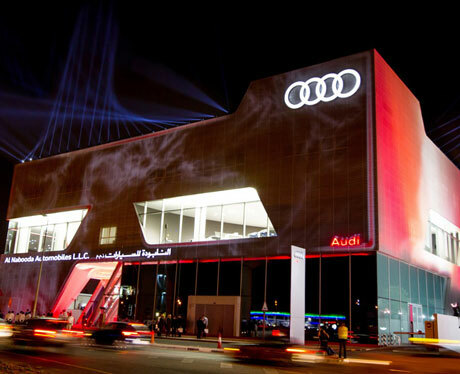 The first thing that comes to mind when you say Audi is luxury, but to get there, the German company had a long way to go and a big investment to make; and since Dubai is known for its love of hosting the biggest, the widest and the tallest, Audi made sure to confirm this statement by opening the biggest showroom in the world right in the heart of Dubai. The grandeur doesn’t end here, because Jennifer Lopez was present to add flavor to the luxury of the event and had the chance to tour the showroom and witness some of the world’s most powerful cars. Vibes gathered our most beautiful models and hostesses to ensure top of class logistics and attendance to suit this high profile luxurious event. We obviously couldn’t get enough of the smiles of the attendees and most importantly the satisfaction reflected on Audi team’s faces. 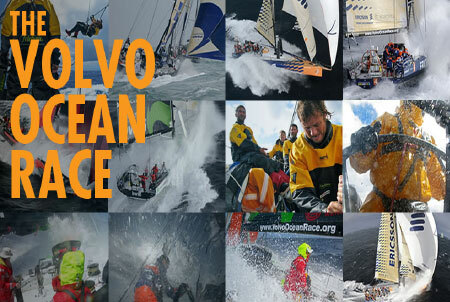 As the UAE’s capital, Abu Dhabi is becoming home for international sports events, Volvo have chosen this strategic location to add it onto the map of its popular ocean race. From the white sandy beaches of Alicante in Spain and across the mediterranean to the modern and calm shore of Abu Dhabi, Volvo succeeded to mark its presence in rising and sports loving emirate. Vibes promoted the race for a full month in Abu Dhabi malls. The Dubai Shopping Festival Inauguration witnessed a massive opening event that attracted circa 1,000 VIP’s from royalties, authoritative figures in the country and other worldwide VIP’s. Vibes team as usual handled the challenging part of such a massive event by providing logistics, staffing and the meet & greet services. 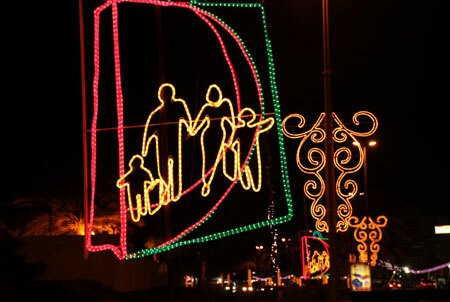 It may be widely known that 2011 was not a great year for most parts of the world but there is always a new year and Dubai bid farewell to 2011 in its own fabulous way. 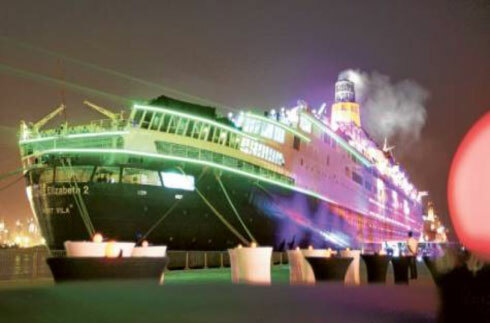 In 2010, Dubai put its hands on one of the most luxurious yachts ever created, the Queen Elizabeth 2, which says a lot about her just by royally standing on Dubai Creek. 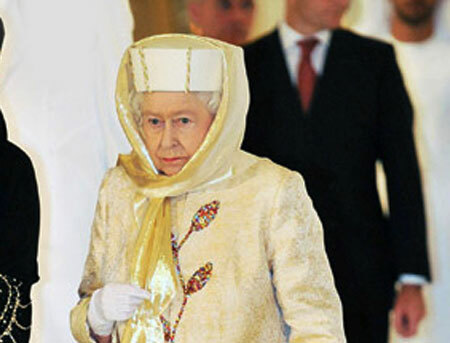 With eye catching charm, Queen Elizabeth 2 celebrated 2012. Vibes provided 120 staff who took charge of logistics, orientation, marshaling, body search, and hostesses for over 1000 worldwide VVVIPs. The whole Arab world welcomed the launch of one of the most waited for Arabic news channel, Sky News Arabia. Airing from Abu Dhabi, the channel’s launch was hosted by the Chairman of ADMIC and over 400 guests who witnessed the countdown of the launch. As Vibes’ staff have occupied a special position in servicing high profile VIP events, the launch of Sky News Arabia was no different, our experienced meet and greet and registration staff has always succeeded in making the event as pleasant as it could be. Staffing : Red-Carpet Meet & Greet Staff, Airport Meet & Greet Staff, Auditorium Seating Staff, Accreditation Staff, Ushers, Hostesses, Organizer Office Assistants & Supervisors. 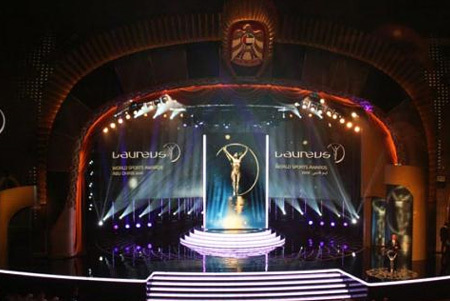 The Laureus world sports award is considered one of the most prestigious and premier honoring award ceremony in the sporting calendar. Vibes took on the responsibility during the event to provide the prestigious organizers with 100 top of the line staff to provide services ranging from Accreditation, Auditorium seating Ushers, to Red-carpet meet & greet, and Gala-dinner hospitality. 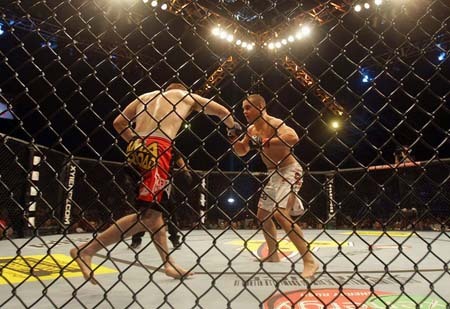 Along side football (the most popular sport on earth), fighting sports have been gaining a lot of popularity lately among youngsters and adults who attend it to get the enjoyable adrenaline rush while watching the players get aggressive and hard-hitting. Where Vibes' share of the pie was always reserved in sporting events, the UFC was on top of the agency’s agenda. With 180 staff filling the stadium, Vibes staff were able to maximize the excitement of the audience by facilitating all their logistics. From the minute they entered until the minute they left, we made sure that they were well entertained, energized, properly serviced but also well contained. Staffing : Ticketing Box office, Customer Service, Merchandising, Cashiers & Supervisors. 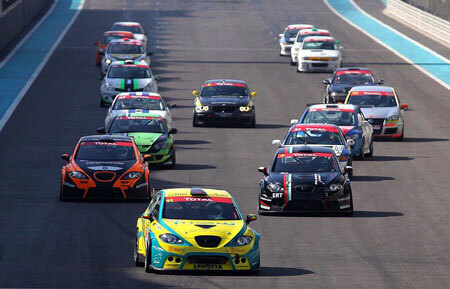 "Vrooming sounds, soaring crowds, and screeching tyres peaked the level of Adrenaline in most of the thousands of the public at yas Marina circuit. 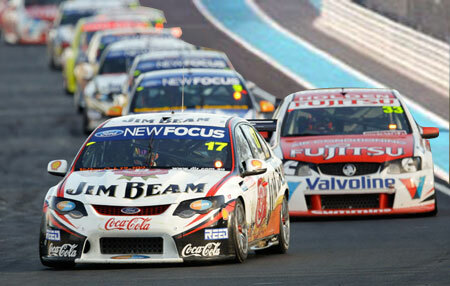 We brought our share of "Vibes" to the 4 events: Drag race, GTI, GP2 and the V8 supercars, by providing for each event over 100 vibrant staff to cater for ticketing, logistics and ushering services. A team of 80 vibes staff escorted all the VIP and VVIP’s to pay tribute to the most powerful woman on the face of earth. Queen Elizabeth II of the United Kingdom along with Prince Philip, Duke of Edinburgh and met with H.H. General Sheikh Mohamed Bin Zayed Al Nahyan, Crown Prince of Abu Dhabi and other officials in the country. Vibes provided all the shuttle bus services and parking area reservations for all the vehicles attending the event at the venue and all the logistics for transportation of VIPs and VVIP’s. Who said that festivals are only for entertainment purposes? The Yas Island specializes in all sorts of festivities including basketball. 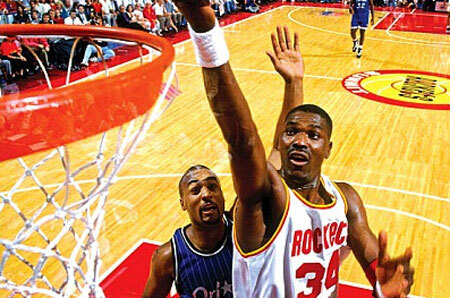 The NBA Jam Fest facilitated by Vibes staff took place amidst hundreds of fans for this famous and popular activity. Over three days, the YasIsland professional NBA coaches worked hard on developing the expertise of ambitious basketball players from the region who all gathered in Abu Dhabi city to learn the best of skills in basketball. The logistics for this huge event were facilitated by Vibes staff who made it easier for the fans to snap photos and attend autographs with the NBA coaches. No success could be achieved without proper planning, the right staff and a good organization; we are confident that the NBA fest was the biggest witness of Vibes success in this domain. “When Power Meets Elegance” was the theme of the Ferrari World Launch event which witnessed the viewership of 500 million people worldwide. 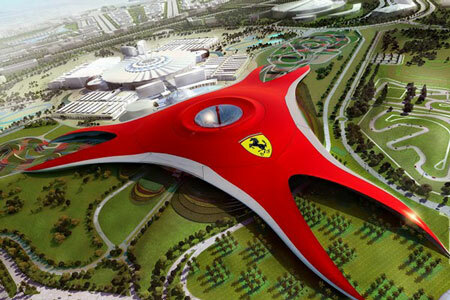 In Abu Dhabi only, thousands of VIPs and VVIP’s were invited into Yas Island to attend the inauguration of the grand Ferrari World. Probably one of Vibes most banked on strengths is the seating capability that our staff possess, whether in an auditorium or in open area. Our staff were able to usher 2,500 free-seated guests into an auditorium in less than 30 minutes. This is an achievement that we are proud to benchmark Vibes’ empowerment to all our newcomers. It is widely known that the most important meal of the day is breakfast which is widely enjoyed by millions of people around the globe. So imagine having your favorite and most important meal of the day ... in the sky!!! 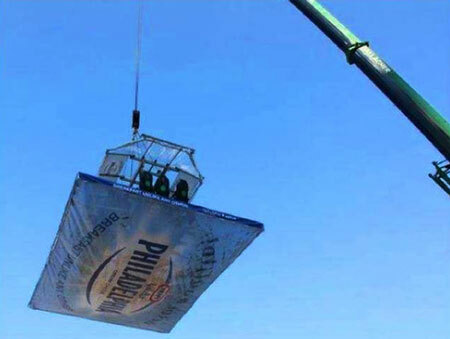 Have you thought of the logistics involved in setting a restaurant on a crane in the sky? Have you thought of the kitchen? seating? bathroom? service? The service... YES! And you guessed it right! Vibes staff were up on the crane, downstairs, at the entrances of the area enticing people to live this amazing experience. This is one of UAE’s most remarkable event and Vibes first job in the sky! With well over 3.5 billion fans worldwide, football (“soccer”) is considered the most popular sport on the planet. 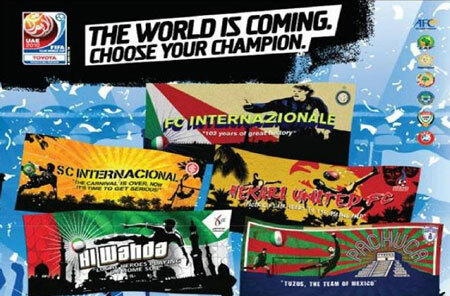 Vibes’ continuous support for all sports activities opened doors for those fans to be hired by FIFA & Flash, the international governing body for football association and the most qualified entity for organizing major football tournaments. Vibes believes that any great event needs great staff that are able to take responsibility for thousands of attendees and are proud to have been chosen by FIFA & Flash to provide this service. Over one whole week, 550 Vibes staff meticulously handled up to 40,000 spectators at the Madinat Zayed Stadium and Zayed Sports City. No. of Staff : 450 working morning, afternoon and evening shifts ending at 4:00 a.m. 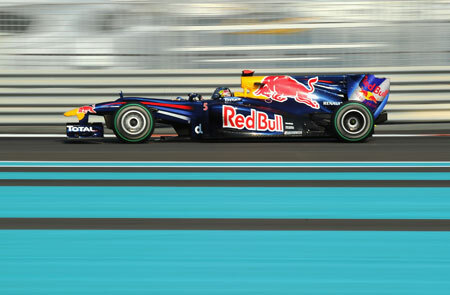 The world’s largest sporting event took place on Yas Island in Abu Dhabi. 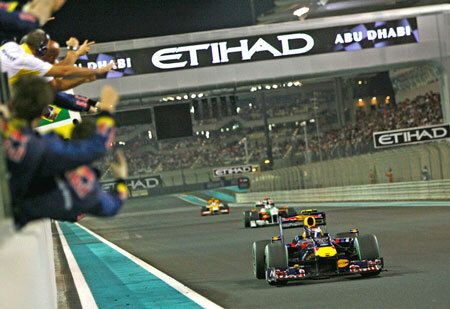 The Abu Dhabi Grand Prix – Formula 1 attracts 600 million viewers around the world in addition to 500 permanent F1 Press Corporations representing major global media, broadcasting, agencies, magazines and websites. The grandiose and majesty of such an event needs matching quality customer service and this is where Vibes came into the picture and injected the Yas Circuit with more than 450 staff for both the Formula 1 Grand Prix and the post event concerts. 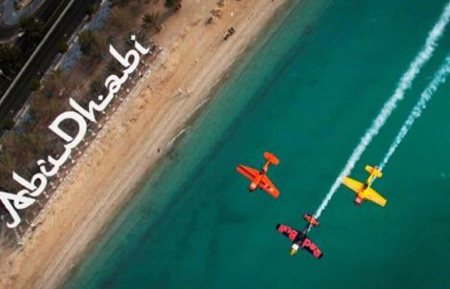 Upon the announcement of the Red Bull Air Race, crowds piled up on the Abu Dhabi corniche to live the outstanding performance of 15 of the most elite pilots in the world, who filled the sky with colored clouds, stylish figures and breathtaking loopings. For two years in a row, Vibes has provided Red Bull with 45 Staff to support these exceptional events. In their own graceful way, our Models and GoGo Dancers gave also their colorful, uplifting and outstanding breathtaking performance in the night clubs of Abu Dhabi, a performance which kept the audience "airborne" until dawn. Staffing : Ushers, Customer Service, Hostesses & Supervisors. Global Champions Tour is the highest and most prestigious yearly show jumping event, which Abu Dhabi was asked to host for 2 years in a row by the FEI the International Show Jumping federation..
Our client, Al Forsan International Sports Resort provided superb facilities from stabling to grandstands to the stylish VVIP and VIP areas to maintain the high standards of GCT’s international circuit. 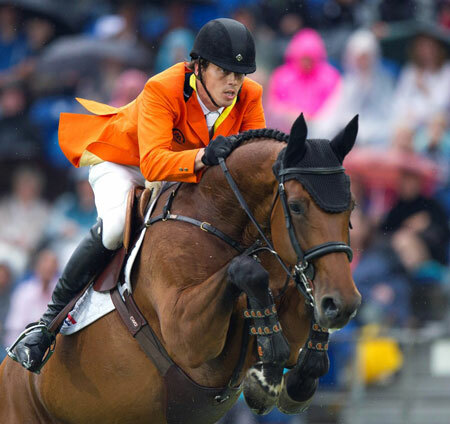 Vibes, having among its staff horse lovers and show jumping riders took it close and personal to participate in this event by providing Hostesses for the VVIP, Ushers and supervision. The visitors ranging from 7 to 77 were thrilled to watch these land creatures flying in the air like a wingless Pegasus! Staffing : Registration, Marshalls & Logistics. With the choice of “a run in JBR” the most prominent area of Dubai, the tone was set, a start at the beach, two bridges to cross and a 5Km loop before the finish line at the beach again. From those who strolled this course in over an hour, to the couple who sprinted it in 15minutes, the 2500 runners and the 10 thousands who came to encourage them, were all entertained with some fun surprises such as face painting, play area, group drumming and a continuous live music across the whole circuit course. 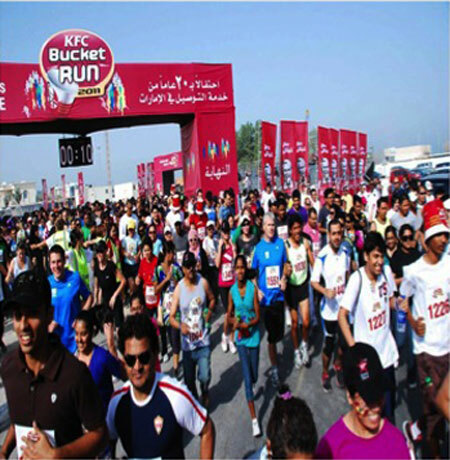 Vibes, in addition to providing Registration, Marshalling, and Logistics staff, participated as runners in this event… a small token of commitment to their Clients to the fund raising to the Red Crescent. Staffing : Meet & Greet, Way Finders & Registration Staff. • Educate, individuals & institutions to pursue a healthy balanced life. • Measure and reward those who have contributed in driving positive change. During the month of Ramadan, and with a symbol representing winning, victory and love, DU’s ‘Every step counts’ initiative achieved its first milestone under the patronage of Sheikh Mohammed Al Maktoum, a champion in sports himself, who declared his belief that “the wellbeing of the UAE is in our hands”. Like all the walk-a-thoners, Vibes joined this winning movement where the motto of “the smallest step counts towards a healthier lifestyle to become an everyday victory” echoes with our credo that “the smallest detail counts towards a better service to become our everyday success”. 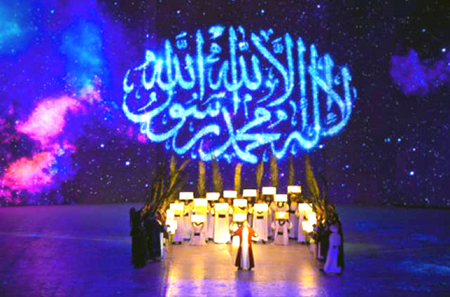 It is with an epic theatrical performance highlighting the history of Islam, that Sharjah was launched as the capital of Islamic Culture for 2014. 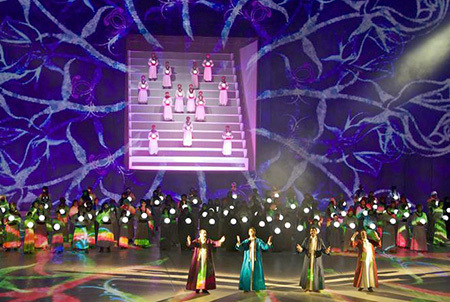 The celebrations at the Majaz Waterfront gathered great talents from the Arab world, taking the threads of poetry, music prowess and exceptional performance and knitting them into an artwork worthy of the social and intellectual wealth of Islamic culture. Our team was there to ensure all visitors were met at the same level of excellence. Downtown Dubai Boulevard one of the city’s most prestigious neighbourhoods was turned into a pedestrian circuit for a 10km Marathon race that gathered professional and aspiring athletes. Our team was there to usher the contestants and assist with traffic routing. Vibes: Ready, Steady, and always on the Go! 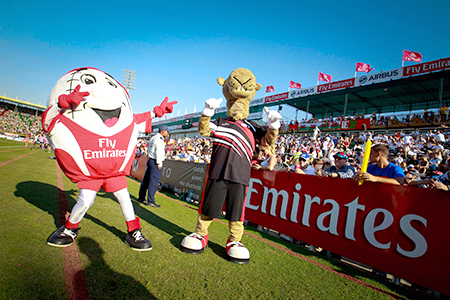 Enthusiastic crowd, sparkling action, entertaining activities; the Sevens Stadium tackled them all during this 3 days event that gathers rugby aficionados from around the globe. Our team scored a touchdown by ensuring everyone was having a blast and was being served refreshments throughout the day. Abraca Dabra. Abraca Dhabi! 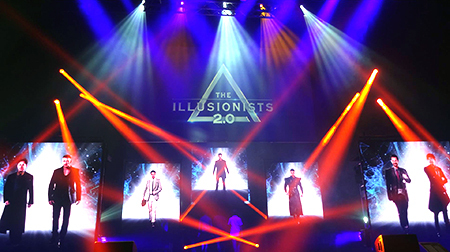 The world’s greatest magicians have gathered in the capital pulling out death defying stunts and dazzling fun tricks from their hats, leaving the audience on the edge of their seats. Our team had more than one trick up their sleeves to ensure everyone left bewildered by their welcoming presence. “Meet Your Heroes” Christiano Ronaldo, James Rodrigues, Gareth Bale, Javier Hernandez who took the Sevens stadium by storm in what is considered to be the biggest match ever staged in Dubai. The world’s most prominent football clubs were greeted by du, a sponsor of matching repute, who was supported by our team of Brand Ambassadors in a series of activations and contests who’d have the winners meet and greet the stars. Grand Megaplex at Ibn Batutta Mall turned into Middle Earth for the launching of the fantasy movie that brings an epic wrap up to the adventures of Bilbo Baggins. Our elves, dwarves, hobbitses and wizards melted into the crowd with their swords and axes creating a parallel universe for the fanatics to be submerged in while waiting for the screening. 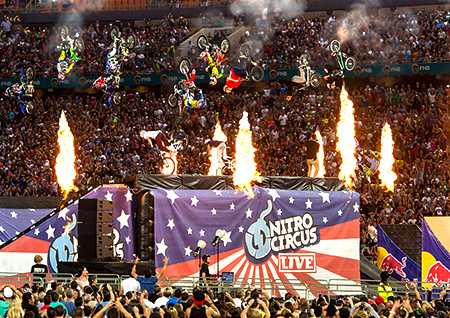 Zayed Sports City witnessed the adrenalin levels spike while the daredevils spun their vehicles and their fans heads in one of the world’s most acclaimed action sports show. The stunts were not for the faint hearted, and our team rolled to the scene with their fearless determination and their vigorous customer approach. Hazza Bin Zayed Stadium is a trendsetter to the Middle East sporting industry with its highly aesthetic and functional structure and its top of the line amenities. It is the training abode for the UAE’s victorious football team, Al Ain FC, and the host to globally acclaimed matches, such as Al Ain FC vs. Manchester City and Manchester City vs. Hamburg, to name a few. Our team was there way before the kick off, handling the ticket sales and ushering the fans around. © Copyright Vibes Events & Promotions - All Rights Reserved.